It has been quite a while since Carlos and I blogged about our hikes. A quick blog on the topic is long overdue. You can’t blame us though for being more passionate about technology! If you grew up watching lots of westerns like we did, the view of the hanging tree is likely to bring back a lot of memories. It makes the place a little more dramatic under the hot sun of summer (it was long overdue too). People used to throw rocks at the tree as a symbol of disgust for the despicable crimes committed. As a Decision Management person, my mind was contemplating the fast decisions they made here and the lack of process that lead to some mistakes for sure. Many tunnels and shafts spring up here and there. 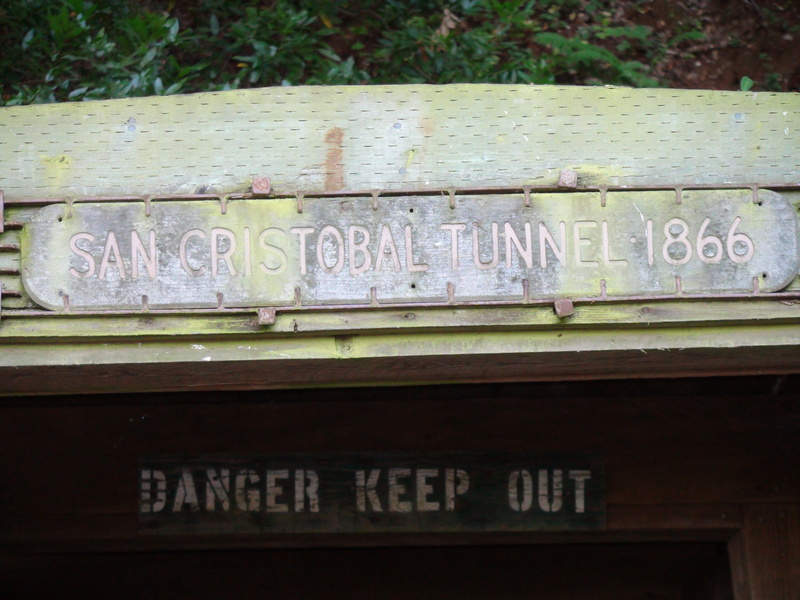 The San Cristobal tunnel is worth stopping by. You won’t be able to follow the old track very far but that is certainly enough to imagine the boring yet nerve-racking days that constituted the miners’ daily life. Their version of fun back then was competing on their drilling abilities on the boulder brought there from Sierra Nevada I believe. It is interesting though that they overcame so much trouble only to have a reliable point of comparison on their mining skills. Something to inspire us on being Performance-Driven I suppose. 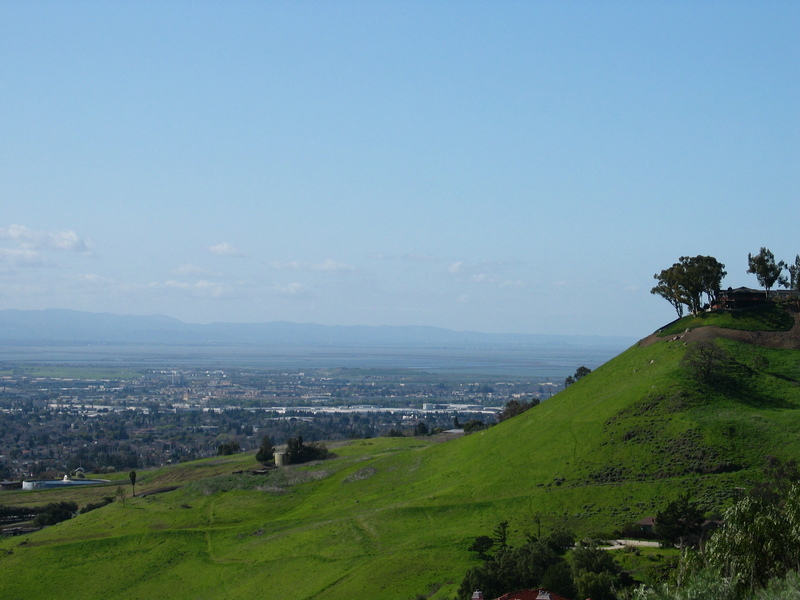 The top of hill overlooks San Jose. 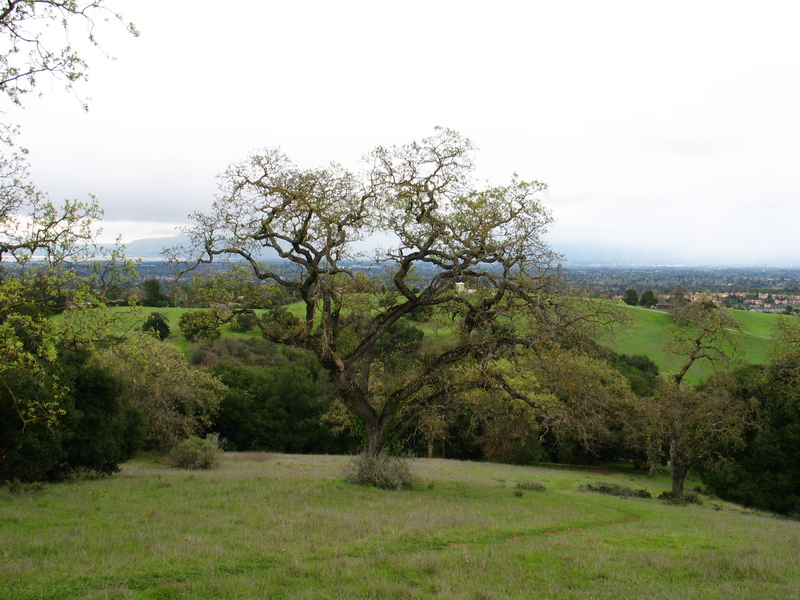 Back in those days, it was a small downtown next to the Santa Clara mission, surrounded by miles and miles of orchards. How I wish I could see that Spring panorama of fruit blossoms. It must have been absolutely gorgeous! This week, we finally found a park with some elevation. 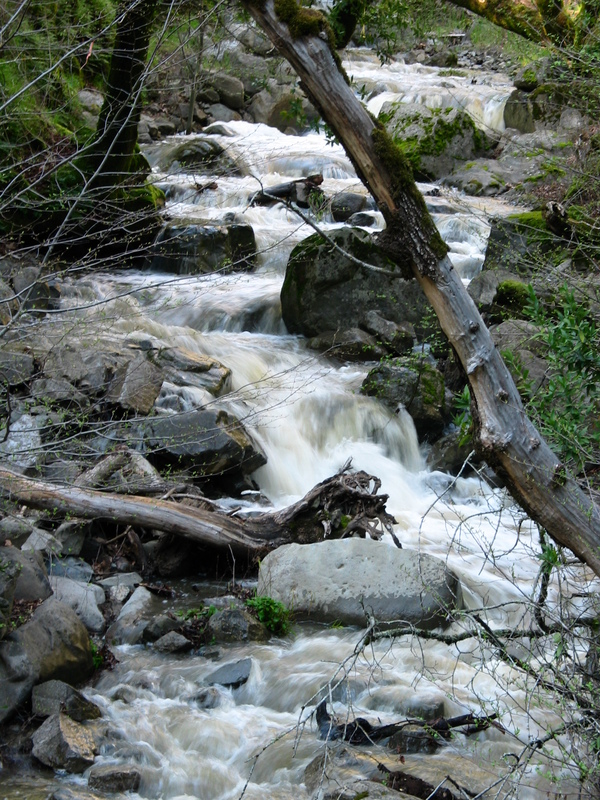 We enjoyed a beautiful day at Alum Rock Park. Weather was gorgeous. Ideas were sparkling. View was fantastic. The first picture was taken from the parking lot. We started with a hike to the rock up there. It was a little steep for a change. Not a stroll around the lake! It is not as far as it looks though. It was a quick walk up to a gorgeous view. Straight ahead we could see downtown San Jose in the valley. That day was very nice, and hot, but due to rain we have been having this year, it was a bit foggy. The contrast of the green hills and the blue-ish bay was stunning. When you look around, you have a hard time believing that you are only minutes away from the legendary world-wide Technology headquarter. We were not alone on the trail. Besides other hikers and bikers, we met a fair number of ground squirrels and a flock of raptor birds. I am not sure if they were hawks or vultures. We only saw them from a distance. While we walked though, they flew constantly above our heads, closer than I am used to. The big, wide shadows were quite impressive! The park is very extensive with loads of trails. We decided to follow the North Rim Trail to the ancient mineral springs. When the park opened in the late 1800’s, as a nationally renowned health spa. The 27 naturally enriched springs were used to fill up baths and an indoor pool. 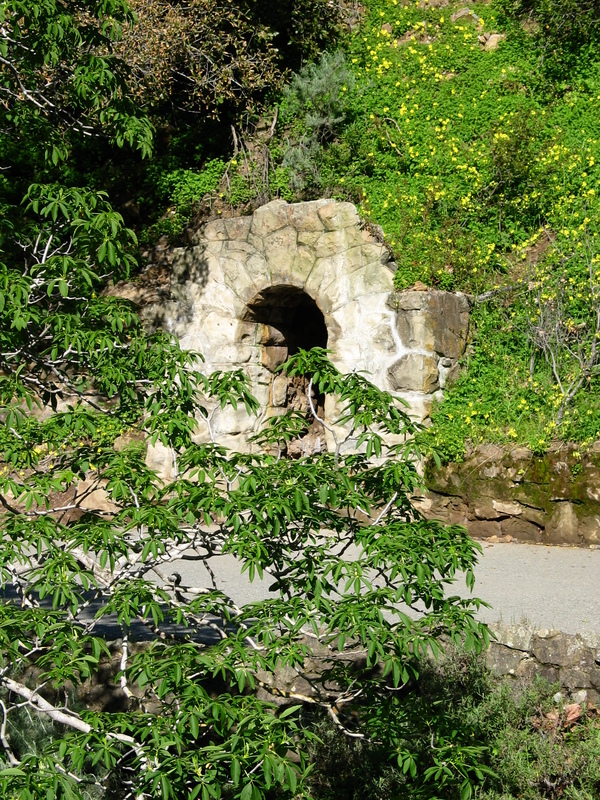 Fancy baths and grottoes were constructed back then using rocks from the park itself. They make a fancy decor for professional pictures. The area is absolutely gorgeous. If you prefer less “constructed” parks, just keep walking down the path… The stream may not be as wild as it was after the heavy rain we’ve had recently but when we hiked, it was definitely neat with many rapids along the way. You can tell that we enjoyed that park a lot. I will definitely come back with the boys. For pictures or just to go wild on the playground, they would love it. Fresh air does wonders on an open-mind. It is amazing how much work, thinking, analysis you can get done when you get out of your office or, in our case, just out of the house. I wish they still had those sparkling baths, especially in the baths that were a constant 98 F… Although, it is said that a Midwesterner visiting the springs in the 1890’s sent a post card home with the message that he was sure he’d experienced a taste of purgatory! We have had a hard time getting one scheduled that week. We had to plan for an outing over the weekend instead of our traditional weekday. That also meant having one of my sons with us and therefore little real hiking. 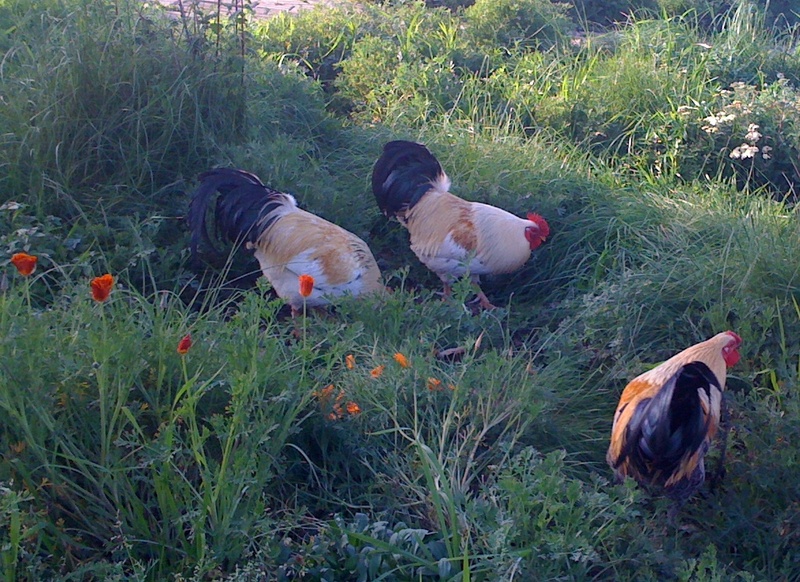 So we decided to opt for a local park in San Jose that educates city kids on the basics of a Farm. 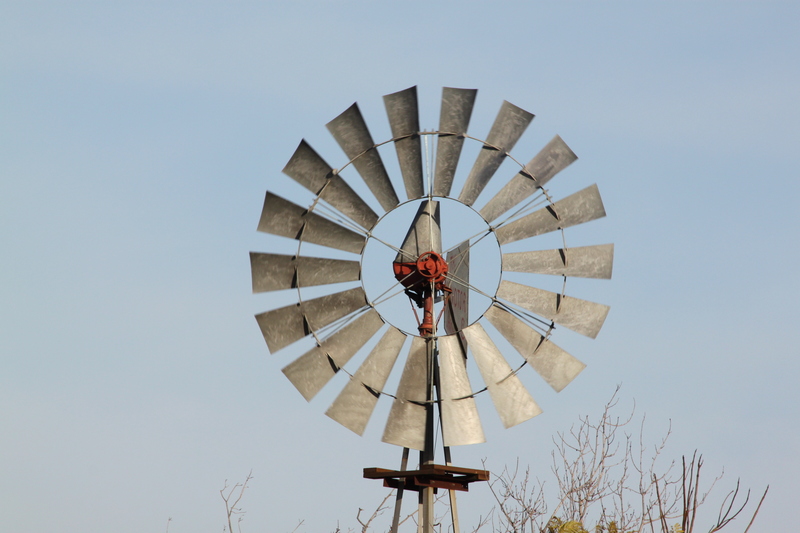 Kids can feed all kinds of farm animals or learn about compost. 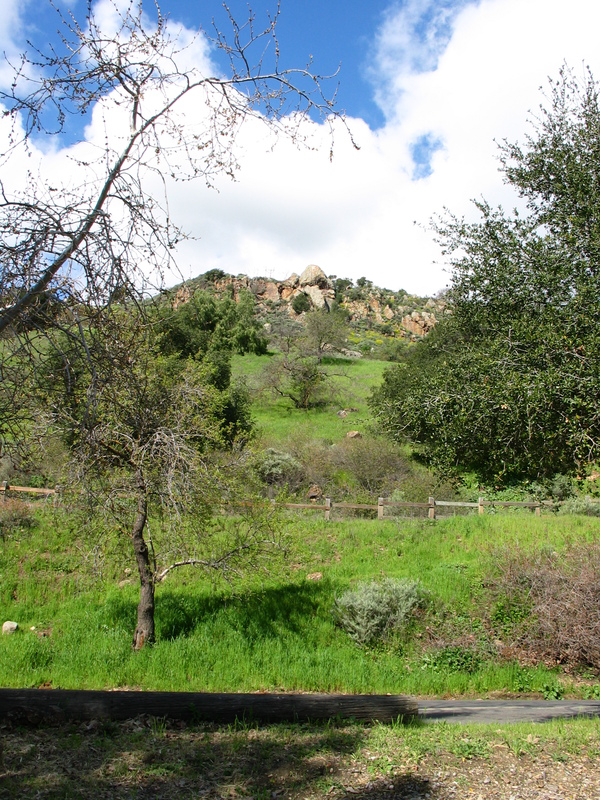 The Emma Prusch Farm park is a surprising neat little park on King st, just at the 101 and 280 intersection. Carlos and I had a lazy hike to say the least but a fun time running after the roosters with Lucas. We strolled in the small animals area and most spent time in the playground. It was very crowded with kids and families but quite pleasant. Definitely not the typical Thinking Outside the Cube outing! 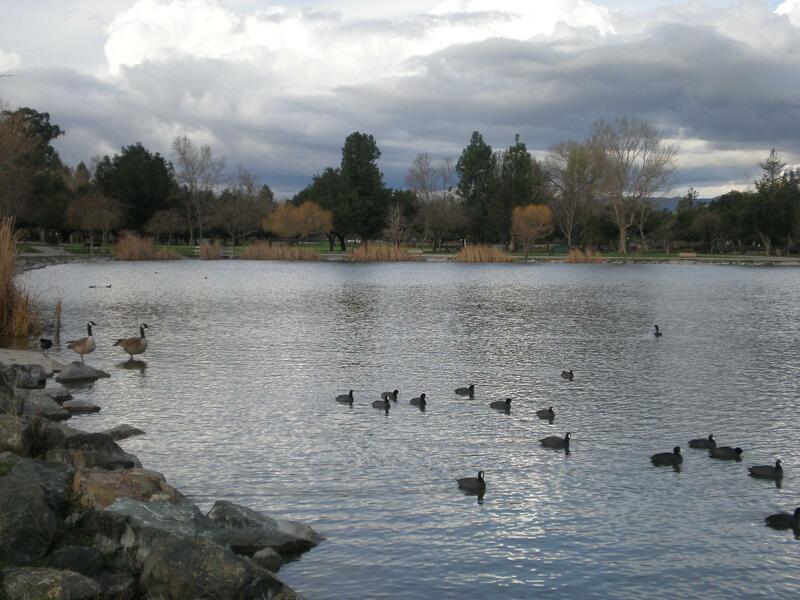 This week, we opted for the Rancho San Antonio park in Mountain View. It is quite an amazing park just a couple of turns away from civilization. The contrast is absolutely stunning. 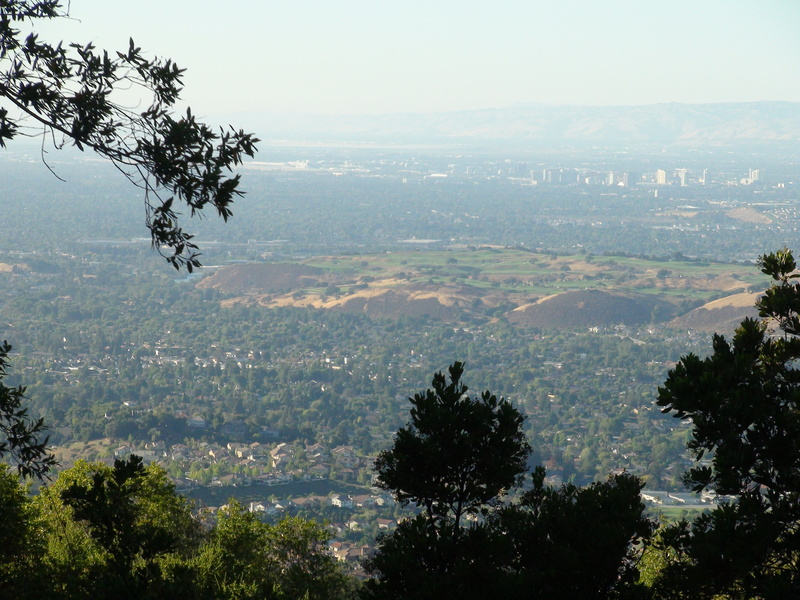 When we arrived close to the top of the hill, we could see both the Bay on the left of this tormented tree, and the high-rise of downtown San Jose on the right side. It makes you want to pause and just watch that fantastic landscape. Many of the big trees there are Bay trees. Their aromatic leaves make me want to cook… Many French dishes make use of it. One of the landmark ingredients of “Bouquet Garni”. We saw the third biggest tree in that park too. I forgot its name but Carlos might remember. The park is quite extended. We did not go through the entire park unfortunately but we definitely enjoyed the hike up the hill. This may be so far the most beautiful park we have been to for our Thinking Outside the Cube hikes. This is another park were bikes are welcome. This is becoming quite tempting but I am afraid that we would not be able to talk as much while riding… I might be wrong. Maybe we should try one of those days. The park is also full of wild life. Of course, you will find some more traditional animals in the Deer Hollow farm — hens, ducks, goats, sheep… We could hear pigs but we did not get to see them though. 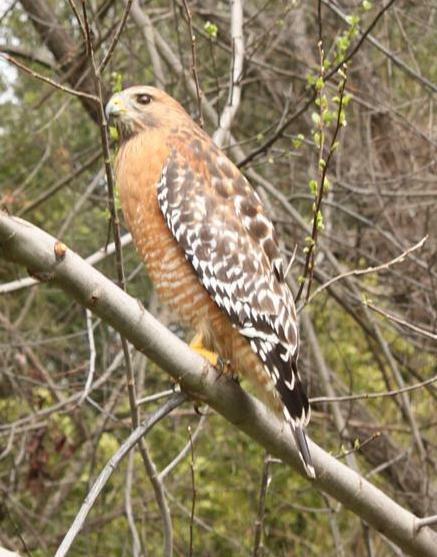 The most exciting encounter was with a Hawk. He was huge and serene. It did not seem bothered by our presence at all. What a gorgeous bird, just a few yards from us. We also met some deers and squirrels. Near the parking lots, the other type of wildlife — humans — were playing with remote-controlled planes. I was tempted too by the tennis court, nicely located near that big tree. What a gorgeous environment to play! You can find more details on the park there. Despite the name attributed by Juan Bautista De Anza in 1776 to the creek, “Arroyo Del Coyote”, we did not spot any coyote or bobcat. There was ample wildlife though, mostly birds and squirrels. I personally enjoyed the gorgeous Scrub Jays with their blue outfit. As one might expect the park is full of interesting trees. I reconnected with my Southern French origins as we walked by Eucalyptus and Mimosa. I love mimosa! Those happy little exuberant yellow flowers always seem to taunt the coldest of winter. How can anyone be immune to their effect? In February, during the Carnaval in Nice, beautiful young ladies throw flowers at the crowd during the “Bataille des Fleurs” (Flower Parade). 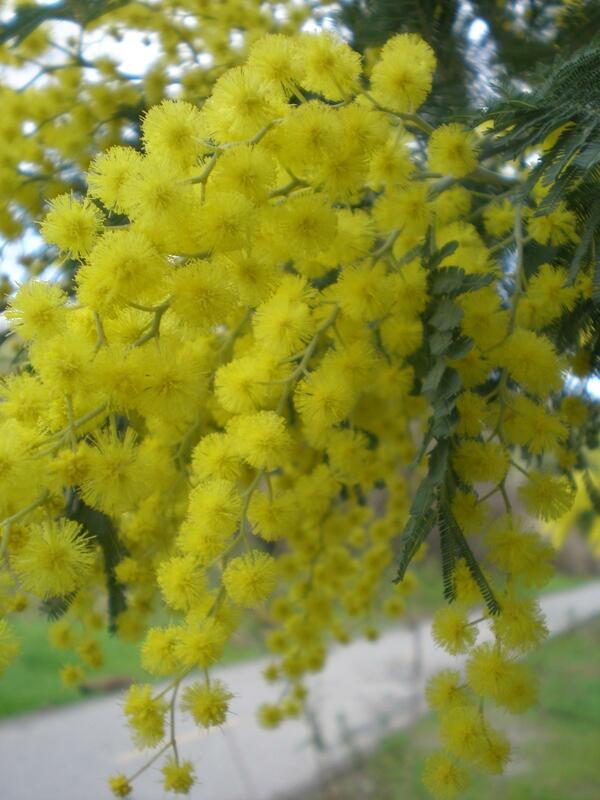 Mimosa blooming in January / February has traditionally been a landmark for the event. 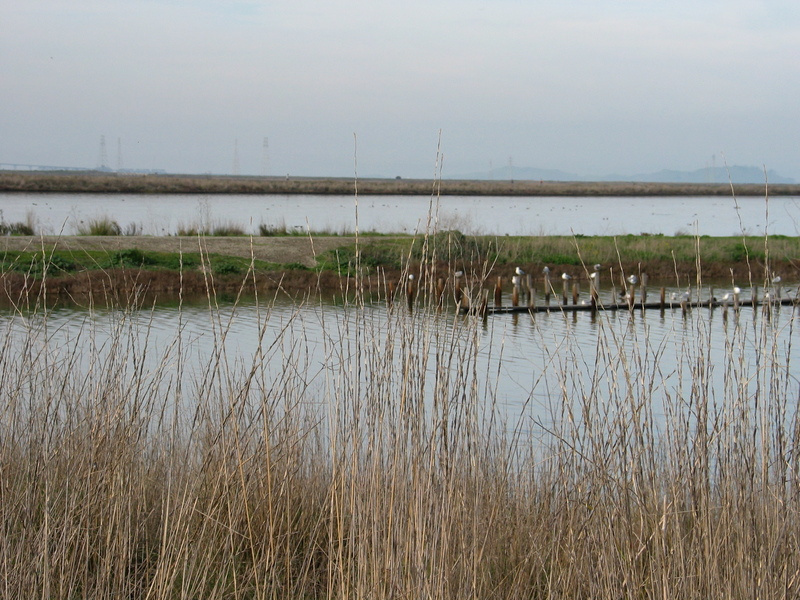 Coyote Creek is certainly not a breathtaking outing but it is pretty and quiet. The right combo for our walks. We do need to spice up the hikes though and start going up a mountain somewhere… Maybe next week! Carlos and I decided to take advantage of our time off work to allocate some serious time for pure brainstorm. Product Management gurus do agree that you cannot force innovation simply by allocating time for it but when juices are already flowing, taking a break to bounce ideas outside of a traditional office — or cubicle! — can help nevertheless. Et Voila! our “Thinking Outside the Cube” series is born! The main idea behind this series of posts is to share the many places we are about to discover or simply re-visit. 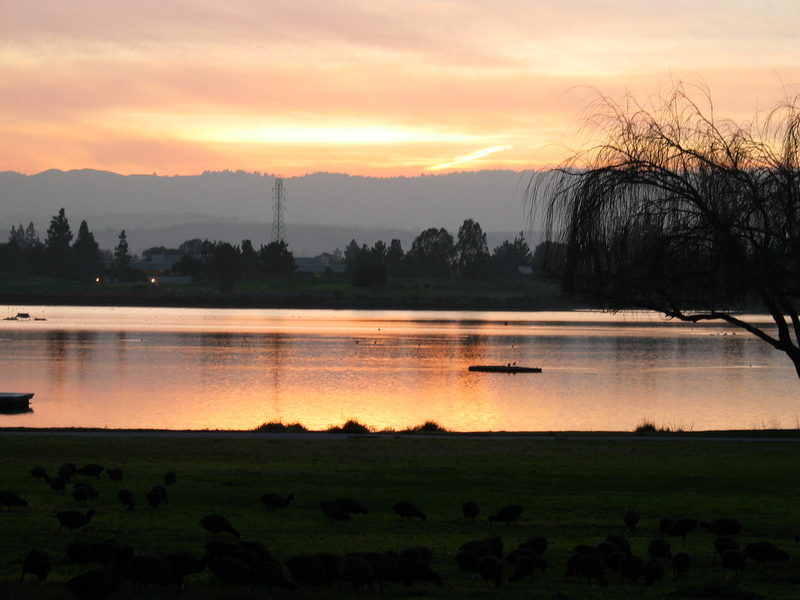 It might give you some ideas of nice places for a long walk or a hike in the Bay area. We would be glad to inspire more people to take some time to get out of the code or the daily routine and think more strategically about your business or your life. 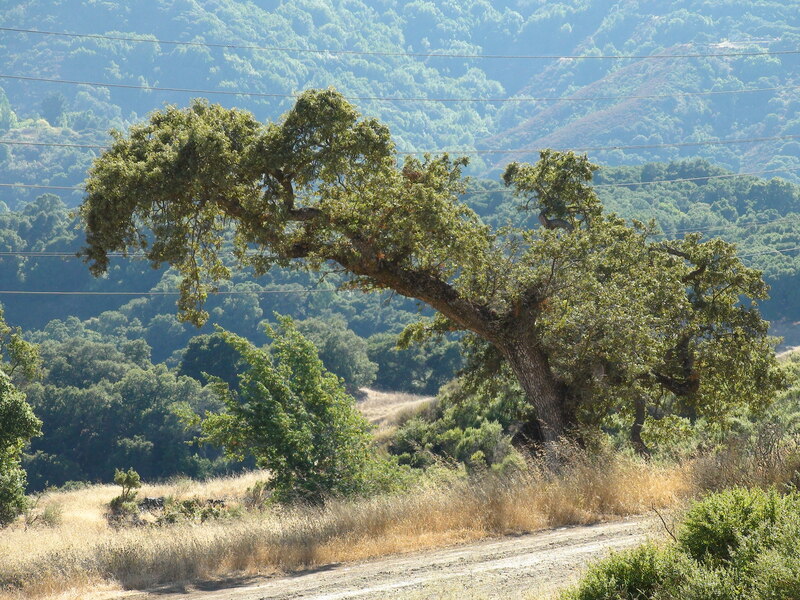 Living in California, we have the amazing opportunity to find beauty around the corner year-round of course but we also assume the duty to spread more Green behavior (not that we have any monopoly on that of course). Carlos recommends the cafe and the boating club for a little pedalo or small boat ride in the summer. That was definitely a nice and lazy way to start our 2010 hiking resolution!